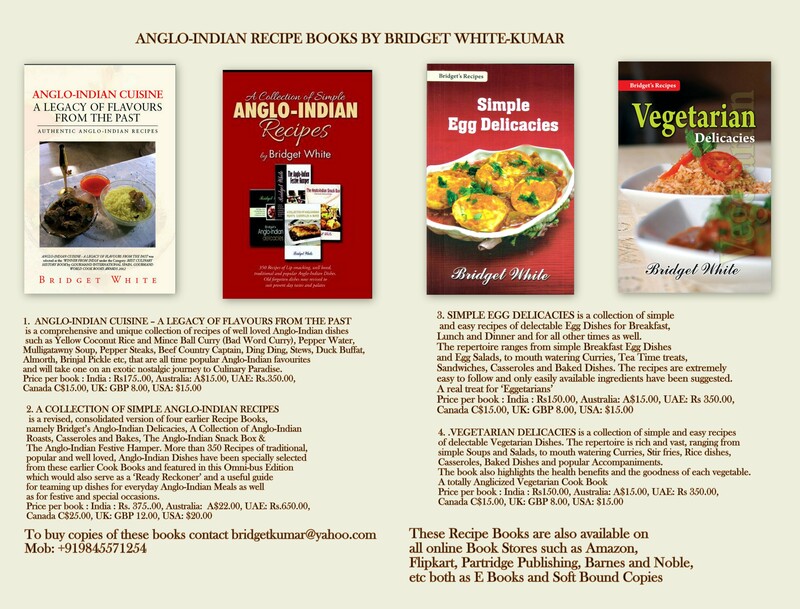 It gives me great pleasure to bring out this revised version of ANGLO-INDIAN DELICACIES. In this book I’ve endeavoured to cover some of the old typical dishes that were popular in Calcutta, and other parts of Bengal besides Central and Eastern India. Dishes such as Pork Bhooni, Chicken / Meat Jal Frezie, Devil Pork Curry, Calcutta Cutlets (Kobhiraji Cutlet), Fish Kedegeree, Double Onions Meat Curry (Do Piaza), Meat Glassey (Glazzie ) or Fruity meat Curry, Meat and Spinach Curry, Duck Dumpoke, etc, are some of the old favourites featured here. I’ve also included some recipes for dishes that were popular during World War II and were served in the Army camps and Officer’s Mess, such as the Army Camp Soup, Brown Windsor Soup, The Bengal Lancers Shrimp Curry, Veal Country Captain (Cold Meat Curry), Bubble and Squeak, One Eyed Jack, Colonel Sandhurst’s Beef Curry, etc., besides a host of other assorted dishes and preparations such as Pilafs, pickles and chutneys, Savouries, sweets and Festive Treats and Home Made wines. 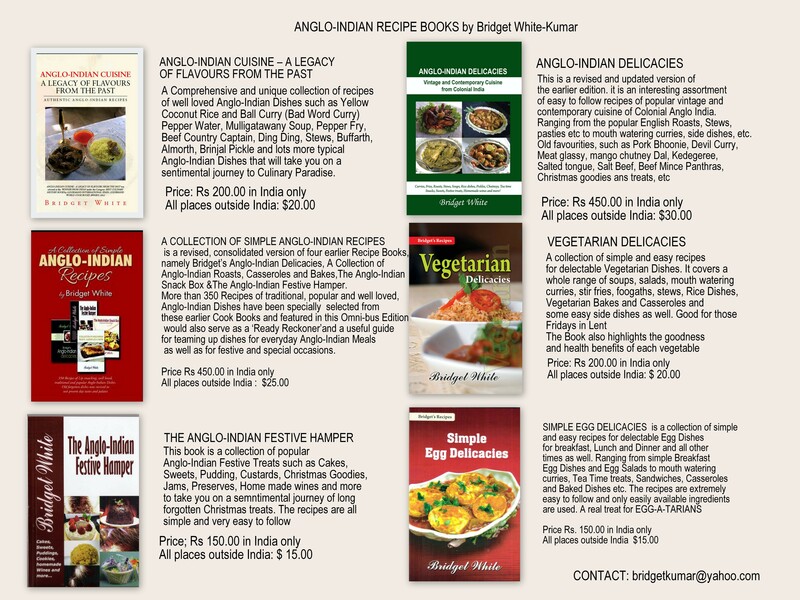 It is a Complete Compendium of popular Anglo-Indian Dishes.